After nearly two months of not really having time for photography, I'm finally trying to get back into the swing of things. That said, one photographic project that I've been fortunate enough to keep hammering on has been periodic coverage of a building demolition that's happening right next to my own building at work. One thing that's struck me every time I've visited has been the juxtaposition of scales. 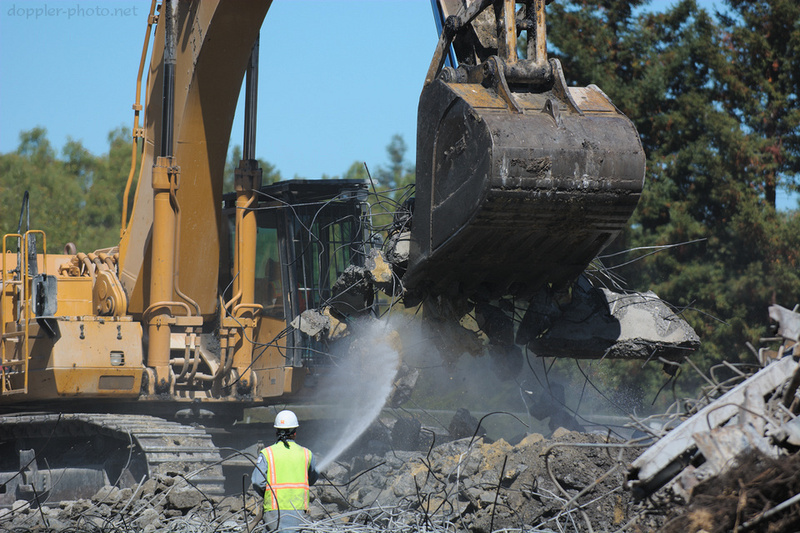 These are giant machines, working on giant pieces of what was once a building's foundation, but at times doing incredibly minute work — their task is to break up the pieces, separate out the rebar from the concrete (for recycling), and pulverize the concrete into gravel and dust. 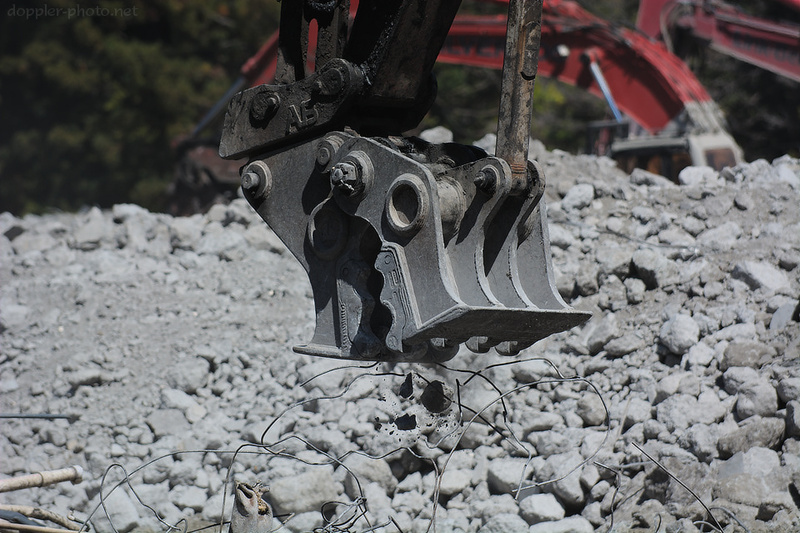 At times, though, the operators will grab individual pieces of rebar during the separation process. 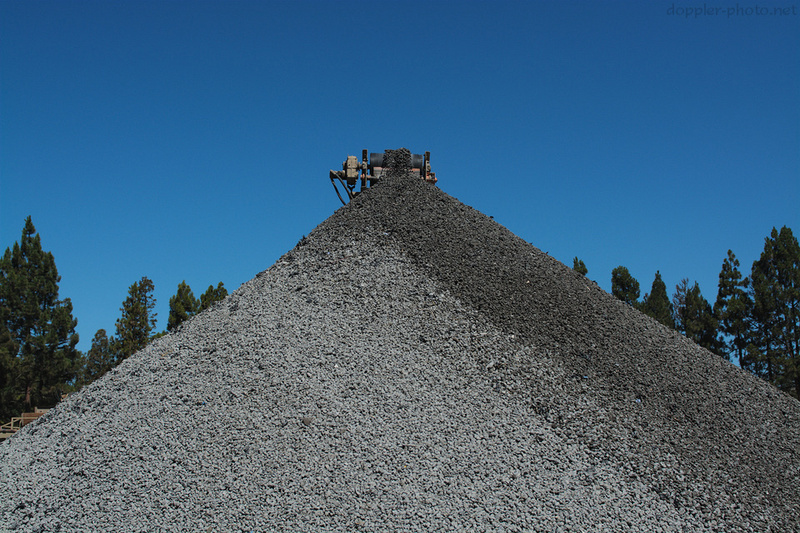 Once things are separated, the rebar gets bundled and shipped off for metal recycling, and the enormous mound of gravel gets trucked away to be mixed into new concrete for other construction projects.